Did Adidas Just Knock Off the Yeezys? 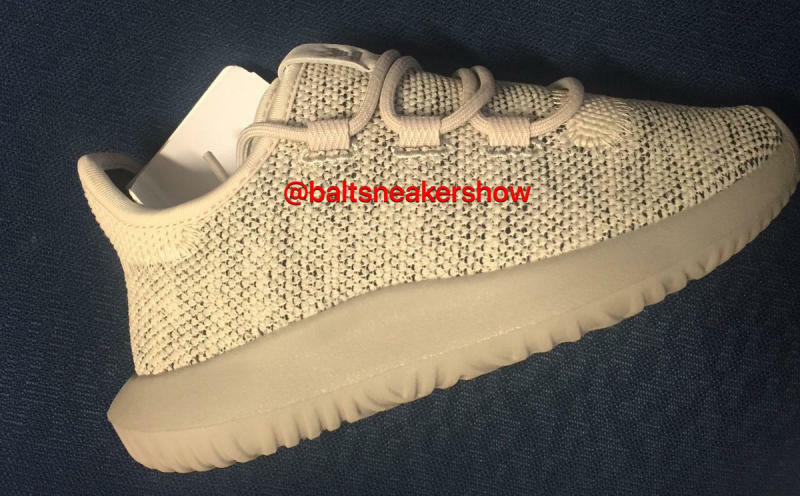 This sneaker looks a lot like a pair of Yeezy Boosts. It looks like adidas is going to go ahead and keep on using Kanye West's Yeezy sneakers as inspiration for similar-looking inline releases. Take this pair for example, apparently called the Tubular Shadow, which has quite a bit in common with the 350 Boost. The overall silhouette is very close, although this model appears to lack Boost tech. It's unclear if adidas will be upfront about the shoe's similarity to the 350–the model hasn't been officially unveiled yet and the only images out there of it are these leaked ones from @baltsneakershow. Kanye West recently signed a new deal with adidas, so his influence over the brand isn't fading any time soon, copies like this or not.